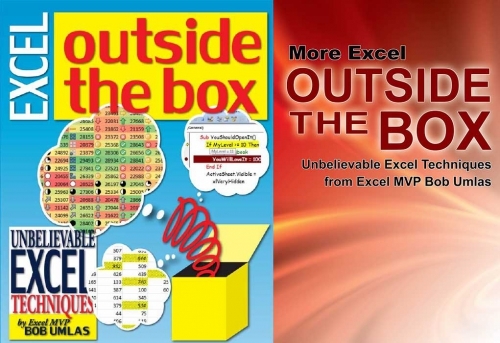 Excel Outside the Box with 54 Excel techniques covering Excel, Formulas, Charts & VBA. More Excel Outside the Box with an additional 28 techniques covering Excel, VBA, and Array Formulas. While you are awaiting those books, you can download the PDF, ePub, and/or Mobi of both books.